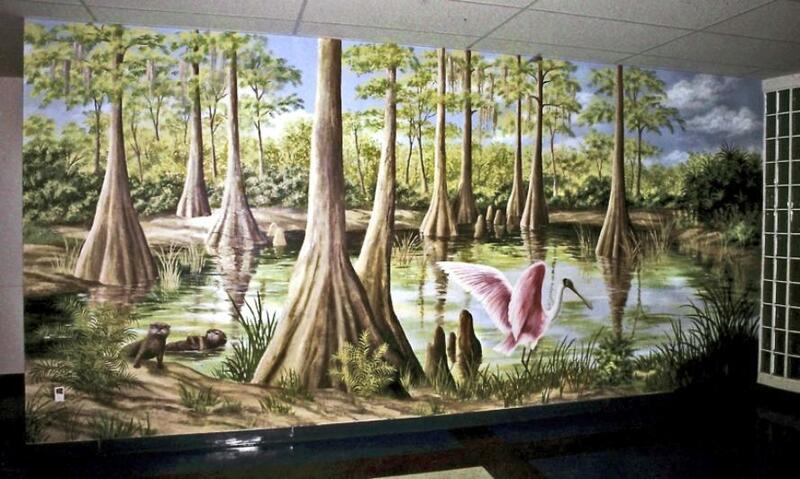 Many of my murals can be seen in public schools in the Fort Lauderdale area or Boca Raton. 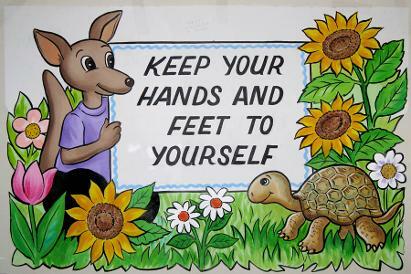 Many of them are in the main hallways, libraries, or even in the cafeterias. 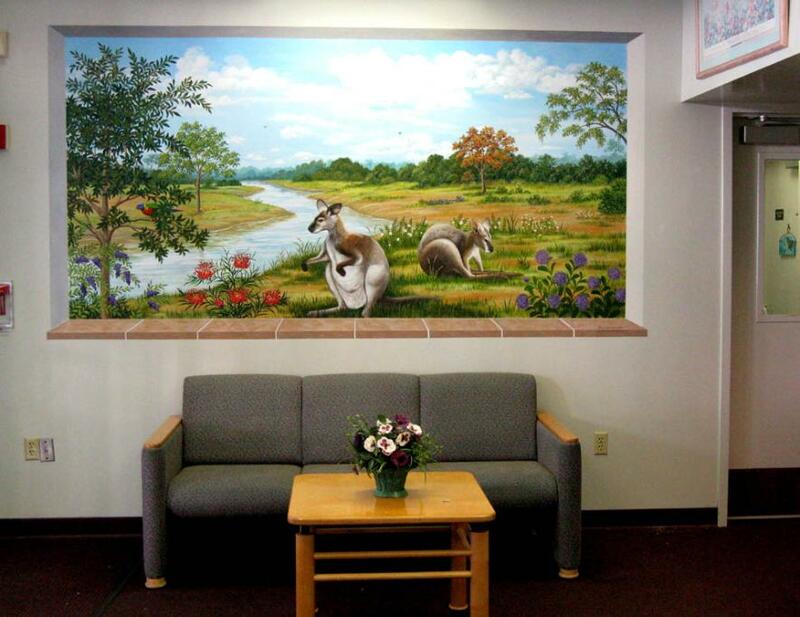 Children delight in watching the daily progress of these murals. 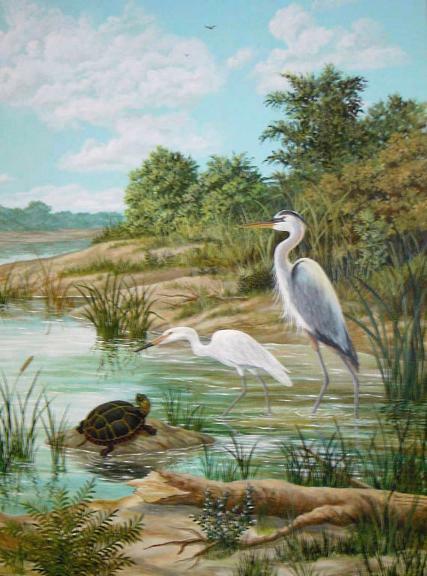 Below are a variety of subjects in elementary schools in the Weston, Florida area, Tamarac, and Coconut Creek, Fl. 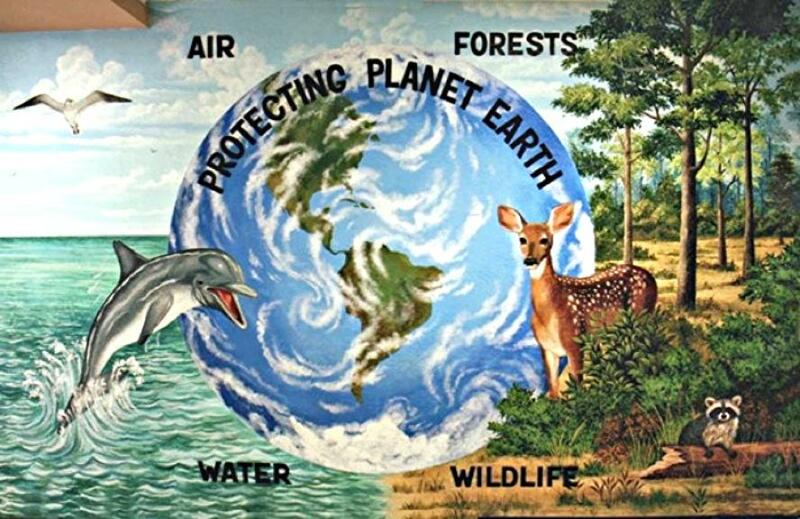 Above: Another mural painted in Everglades Elementary School, Weston, Florida: Everglades wildlife theme. 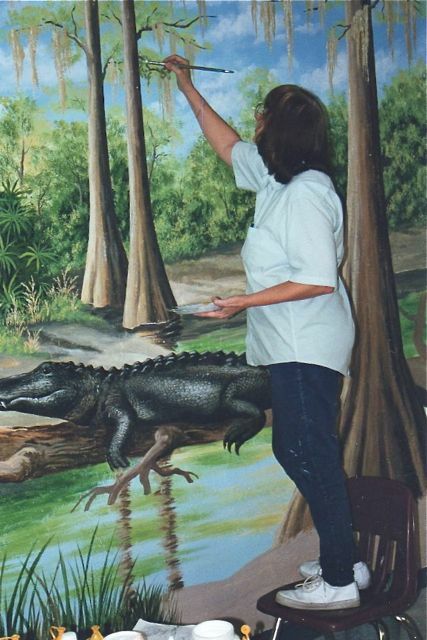 Below; Detail of Everglades Elementary mural above. 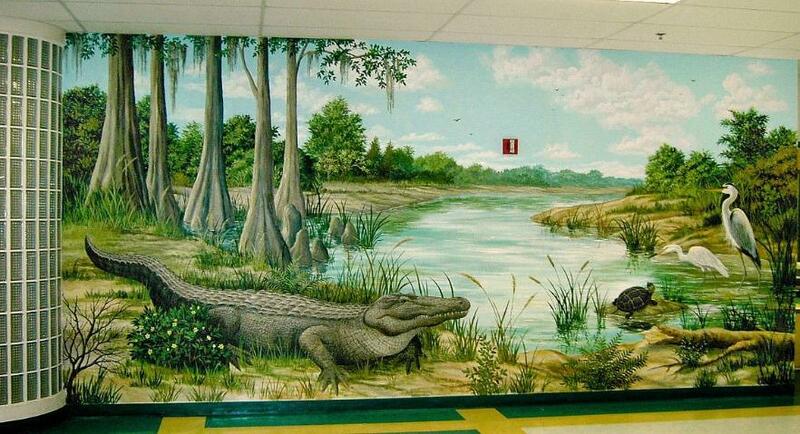 Above: A scene of the Everglades, painted in the main hallway of Gator Run Elementary School in Weston, Florida. The possibilities are endless! 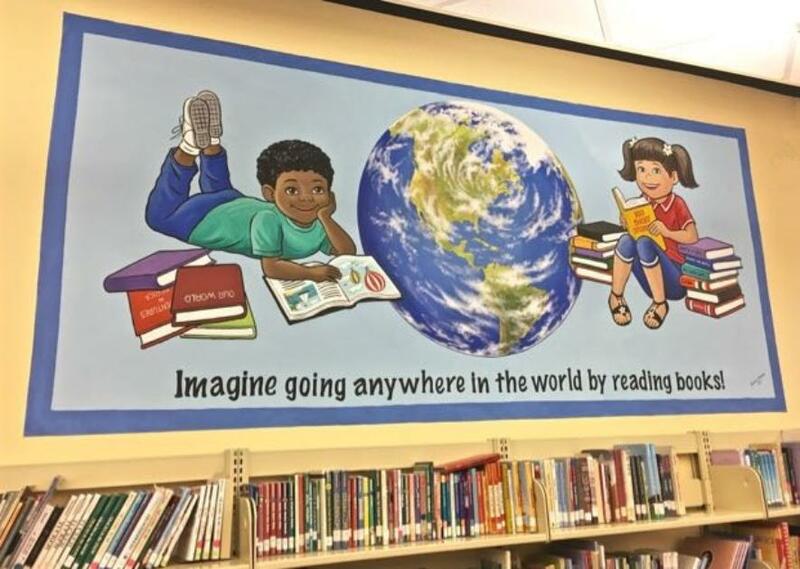 Imagine a beautiful mural in your school! 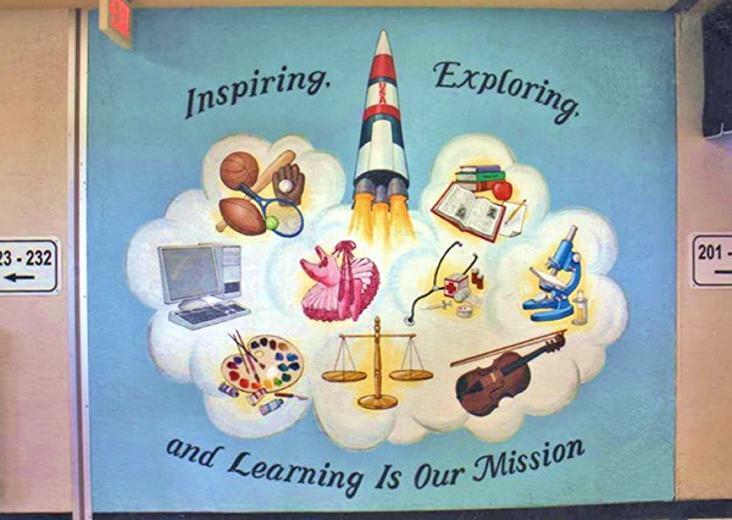 Above: Painted in the cafeteria of Challenger Elementary School, Tamarac, Florida. 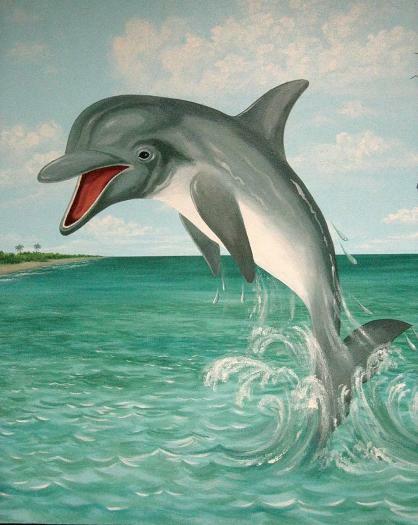 Above: "The Sky Is The Limit" when it comes to a child's options for the future. 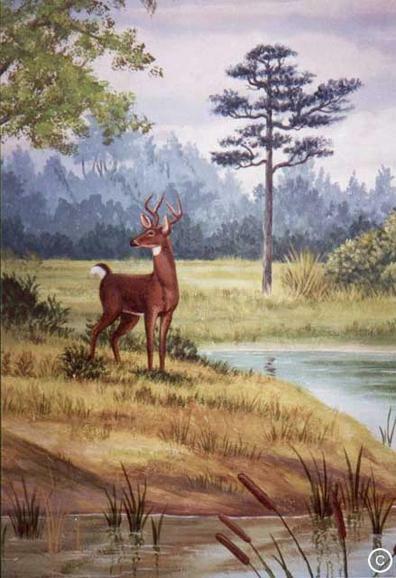 In which direction will he go? 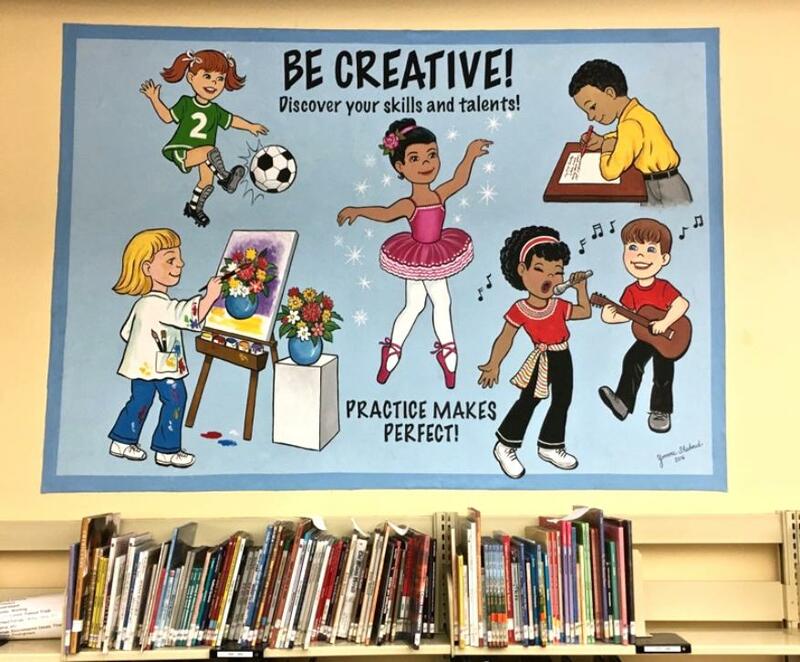 Many careers are possible as shown in this mural. 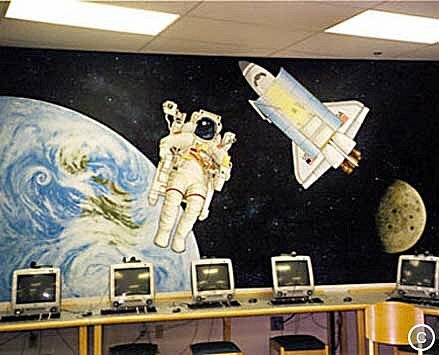 Above: The Challenger Space Shuttle with astronaut is painted on the wall in the media center (library) of Challenger Elementary, Tamarac, Fl. 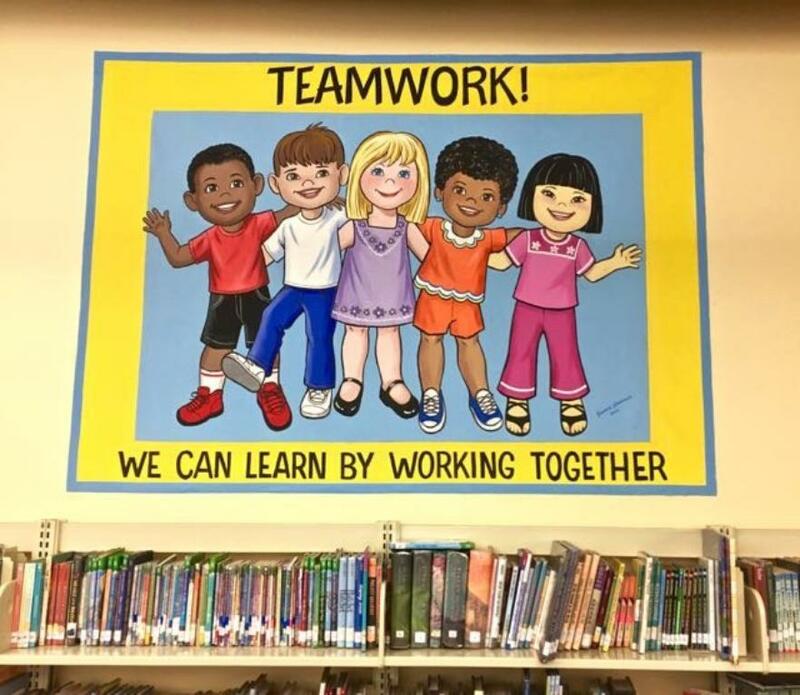 Below: Showing just two of five different conduct rules for children in the cafeteria of Winson Elementary School, Coconut Creek, Florida. 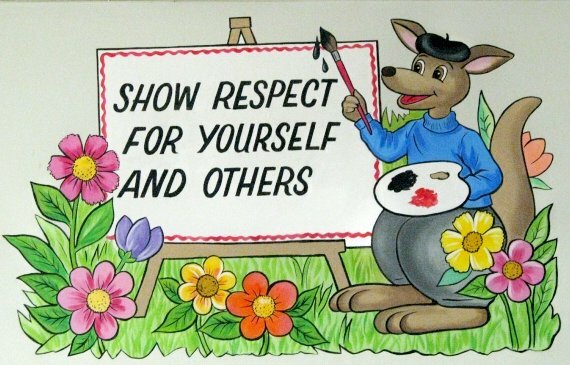 Above: Showing just two of five different cafeteria conduct rules of Winson Elementary School, Coconut Creek, Florida. 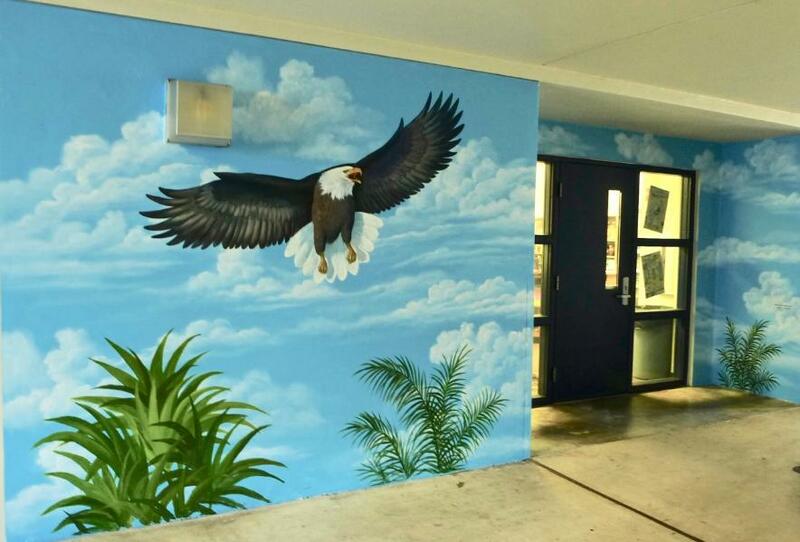 Above: Painted in the hallway of Manatee Elementary School in Weston, Florida. 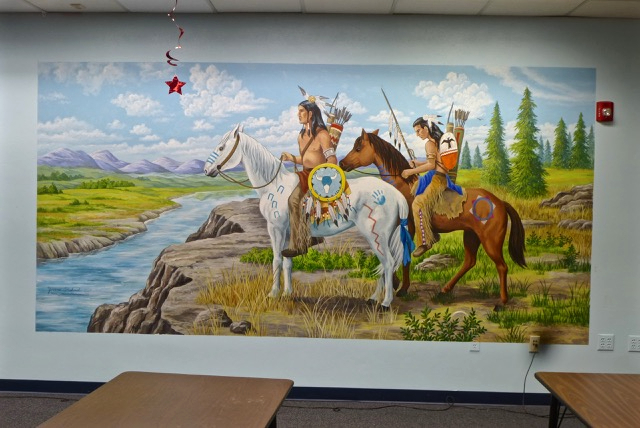 Above: Banyan Elementary School, "The Home of the Braves", is represented by these two Native Indian themed murals, painted in their activity area. 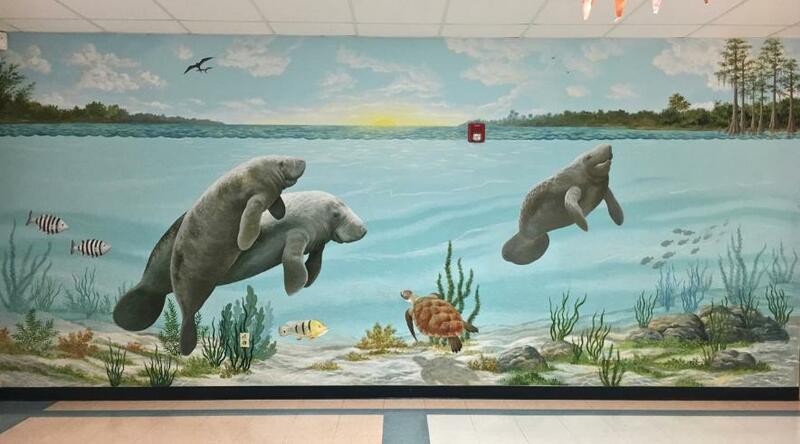 Below: The three following murals were also painted in the library of Banyan Elementary School, Sunrise, Florida. 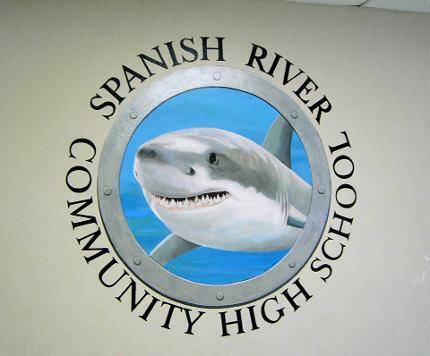 ENHANCE THE WALLS OF YOUR SCHOOL WITH TOP-NOTCH ARTWORK!